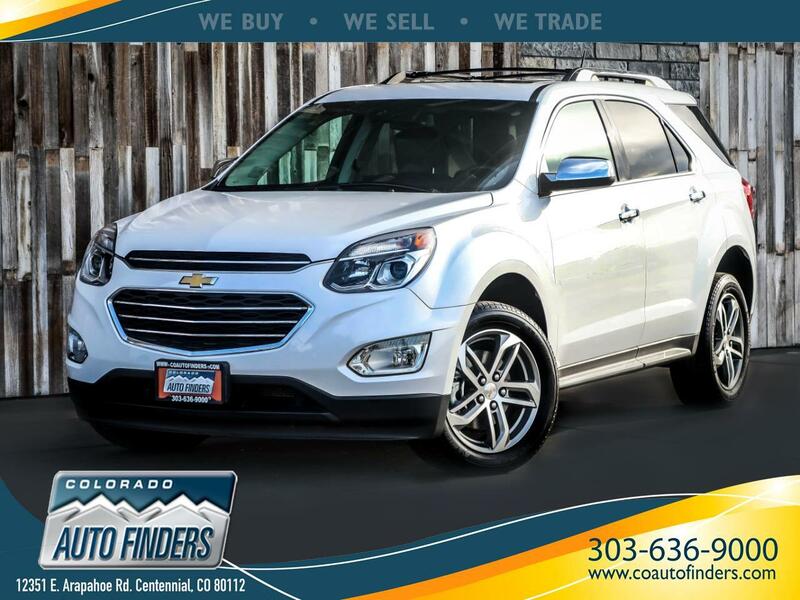 This 2016 Chevy Equinox for sale in Centennial, CO. With really nice leather interior, a sunroof, plenty of cargo space and modern features such as navigation, backup camera, power tailgate, bluetooth, XM (plus much more), you will want to drive this SUV all the time! Besides being really comfortable, the Equinox's sleek exterior design is equally as compelling! It's a must see!